How much do we love the Kahtoola Nanospikes? 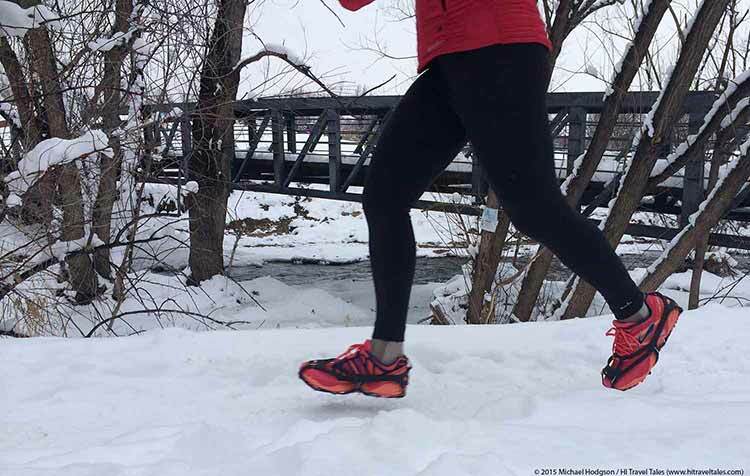 Anybody who covets active forward motion on foot no matter what the season can find snow- and ice-covered roads and trails more than frustrating. Slip, slidin’ along isn’t a run. Or a walk. It’s asking for injury. Yet who wants to give up and turn into a couch potato or be relegated to indoor workouts day after day. Kahtoola has long been known for traction devices, that is, crampons and spikes that add grip for staying upright when traversing snow or ice. But only in fall 2014 did Kahtoola come up with less, well, spikey traction devices geared for runners (and walkers too who desire something with fewer sharp points) – the Kahtoola Nanospikes. The Kahtoola Nanospikes rely on 10 tungsten carbide studs for traction – six under the forefoot and four on the heel. The Nanospikes studs are embedded in a heavy-duty rubber shoe-wrapping harness with reinforced eyelets at connection points bound together with metal “staple-like” clips. The whole package is lightweight – 7.5 – 8.3 ounces depending on the size – foldable and compact. It even comes in its own little zip protective carry case. The Kahtoola Nanospikes ($49.95) do what they promise: I headed out on runs on roads and trails, sometimes even over black ice that would have normally had me tip-toeing through the bushes beside it to stay upright. In fact, you literally can stretch out your stride in some pretty dicey situations and still feel quite confident about your footing. The beauty of this full shoe-enveloping rubber “skeleton” is that you can put them on without necessarily the need to sit down (depending on your balance ability of course!) and then adjust various straps. Just pull on the front section and position it evenly, then stretch the back up and over your heel. Done! No other adjustments necessary. 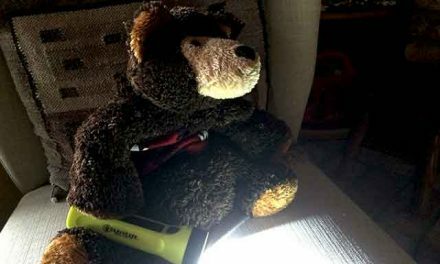 I did find that you needed to make sure the Kahtoola Nanospikes traction device was centered on the foot from the get-go and the metal connectors were lying flat on the side of your foot. 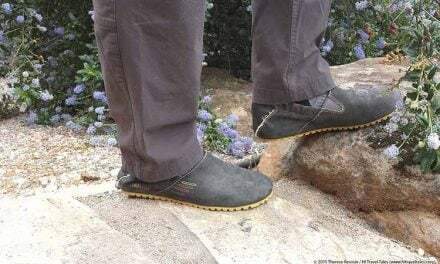 Also, if you are wearing a shoe with larger lugs, the interior with the backs of the studs poking up can catch on them as you pull it over your shoe, requiring a bit of jiggling and yanking. 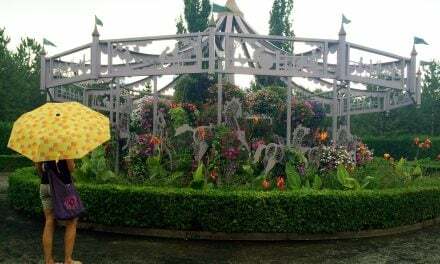 Although we could run well and, more importantly, very safely, I found if you hadn’t taken the moment to center them, the device could slip to the side a bit and thus pinch on your toes. Another point we learned to watch was foot placement. 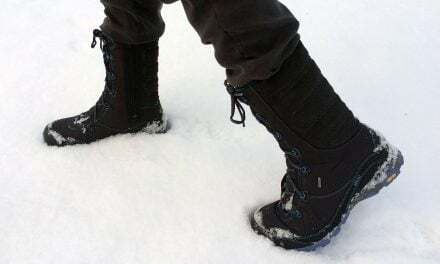 The studs are only on your forefoot and heel: Now usually you would only land on your forefoot or heel; however, sometimes there is an icy log or bump in the trail that may mean your mid-foot may strike first where there are no studs providing traction — and that could lead to a very unpleasant slip-and-slide stumble. 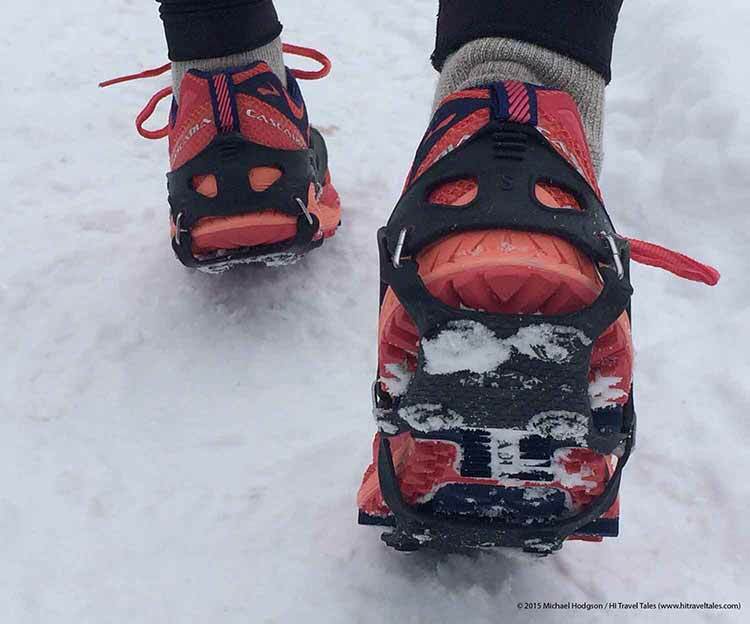 Still, the Kahtoola Nanospikes are so easy to pack and put on and use, and they were a lifesaver on groomed trail runs and walks, adding sturdy, durable safety and security that we think would last for many winters. They’ll be in our travel bag again.